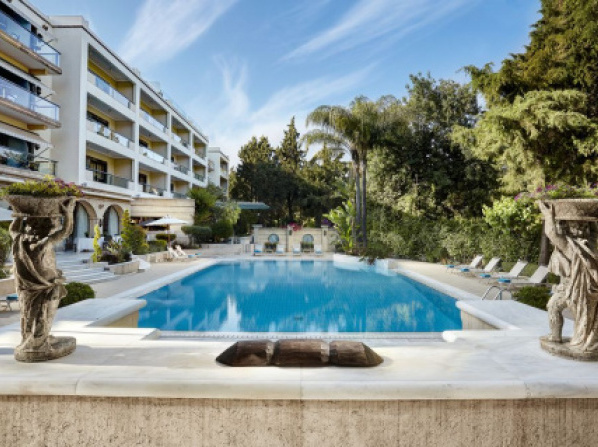 A proud member of the Small Luxury Hotels of the World, Rodos Park combines the modern amenities of a 5 star hotel with the traditional architecture of the Medieval era of Rhodes. 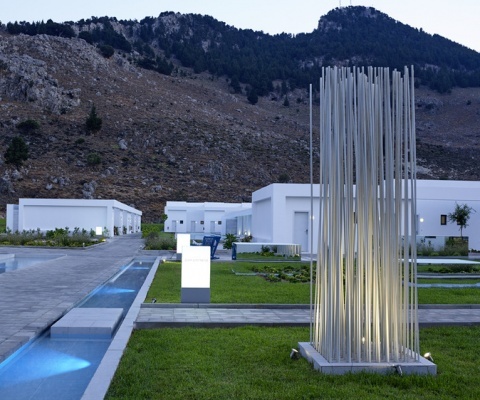 A five star hotel tailored for guests who wish for the best adults’-only accommodation, embraced by a breathtaking natural beauty, smart contemporary architecture and timeless elegance. 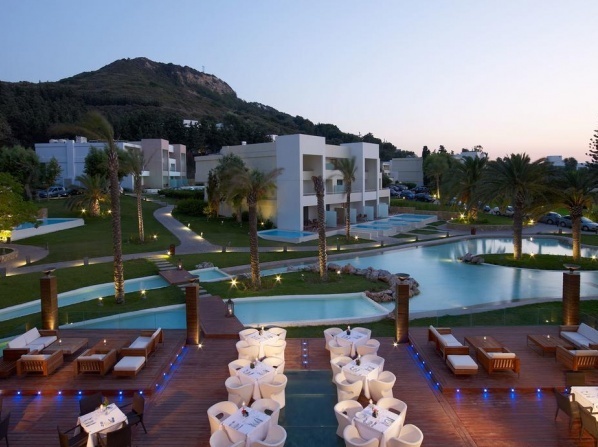 Α 5 star luxury hotel situated in the cove of a mountain below the Acropolis of Rhodes, overlooking the endless Aegean Sea. 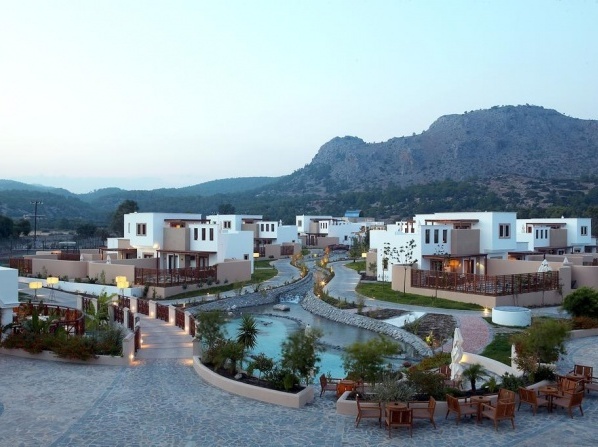 A five star hotel located directly on a beach with gorgeous turquoise waters; a peaceful heaven in Lindos. 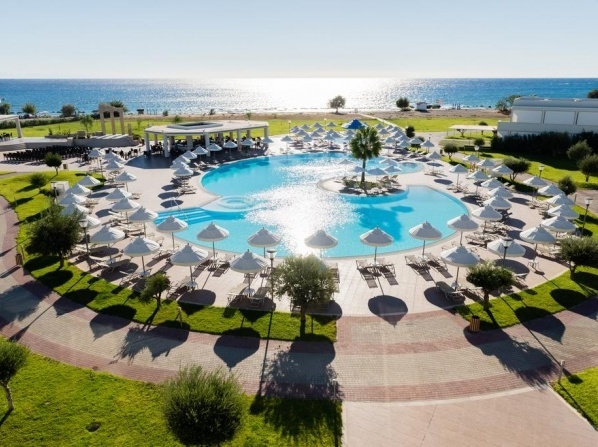 Situated in one of the most famous beaches of Rhodes, known as Afandou Beach and just 500m away from one of the most popular Greek Golf courses, lies this 5 star resort. 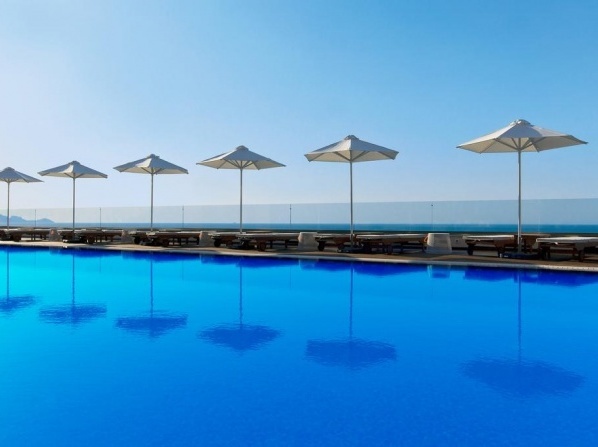 Uniquely set in an area of 40.000 m2, this five star hotel offers exceptional service, fine Greek and Mediterranean tastes in elegant restaurants, atmospheric bars, and large refreshing pools. 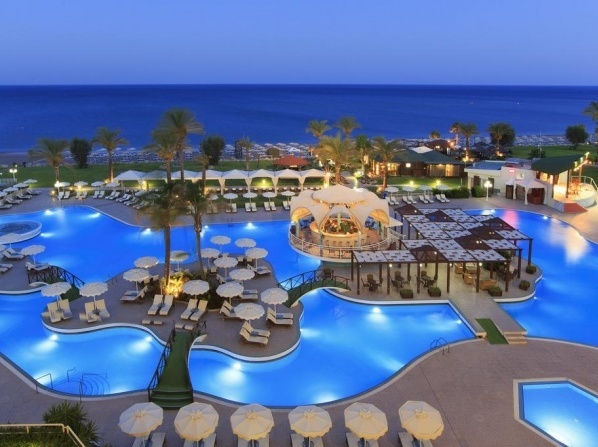 Τhe Sentido Ixian Grand Hotel is a treasure of pleasure in Rhodes island in Greece. 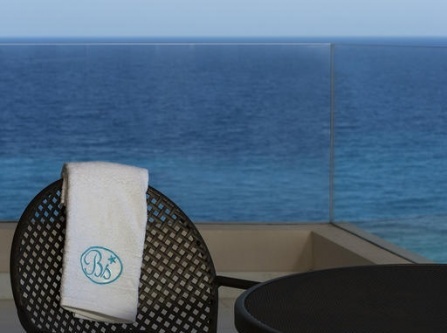 With a beautiful beachfront location and luxurious suites with private swimming pools, your holidays here are bound to be the most memorable yet. 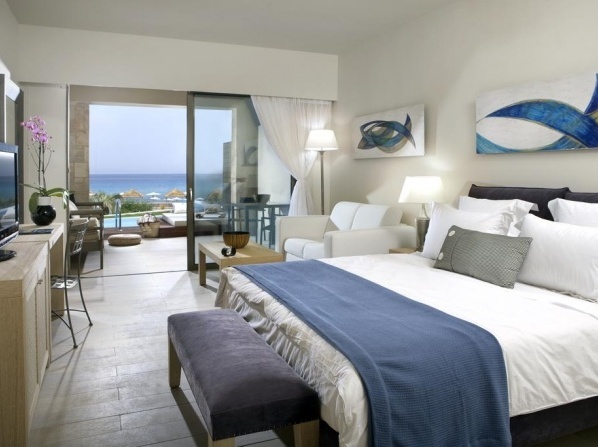 A beautiful shingle beach is only a step away from this luxurious accommodation. The hotel accepts guests above 16 years of age. Children cannot be accommodated. 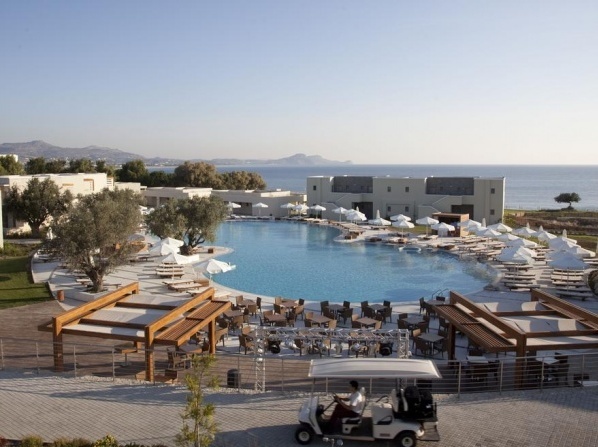 A luxury 5 star hotel in Rhodes island, Lindos Blu Hotel is a brand new hotel situated in a privileged location in Lindos. 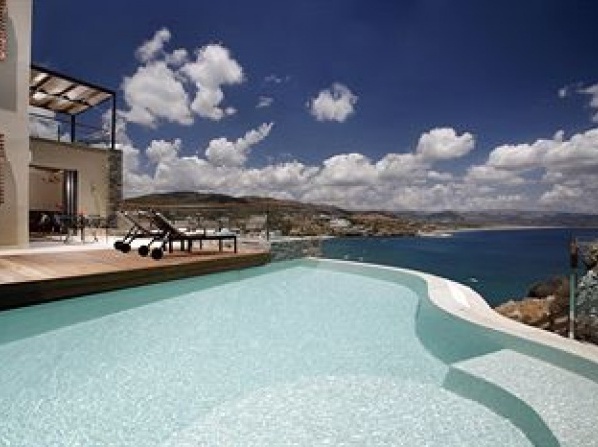 The 5-star Elite Suites is situated in the picturesque coastal resort of Ixia, just 2.5 miles from Rhodes Town. 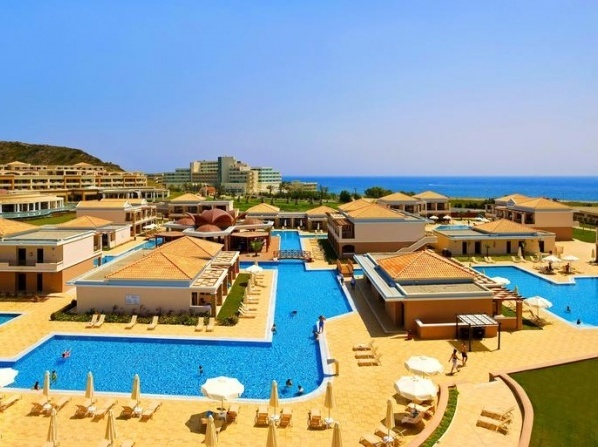 One of Rhodes' most superb five star hotels located in the picturesque resort of Kallithea. 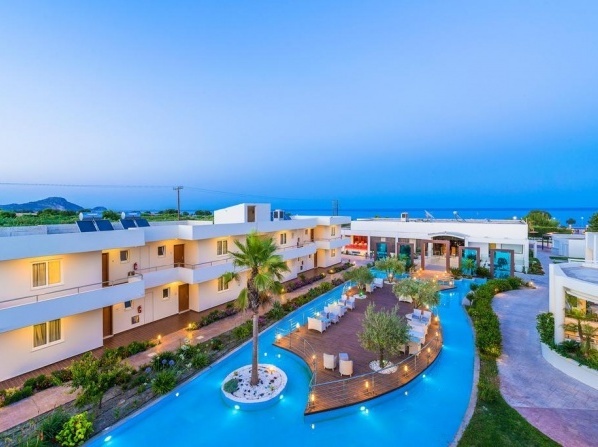 Live the absolute Greek experience in this adult only hotel. Children under the age of 16 cannot be accommodated.